How to build a list for your blog and earn trust from subscribers! →How to build a list for your blog and earn trust from subscribers! Building a list for your blog is one of the first things you have to start doing as soon as you start your blog. I know this is not always the case because of the confusion and lack of accurate knowledge that’s often experienced by many starters. One thing is to build the list and another is to maintain it. At both ends, it’s always a hard nut to crack. If you’ve never started a list before or you are not happy with what’s happening with your current list, I might have suggestions that will clear the dust and set things right. There is no doubt that your list is the most reliable source of traffic. If your list is built properly, the traffic you get should be quite targeted. These are readers and visitors who opted in to receive your information so they will always click to your blog each time there is an update. Treating this list with a lot of caution will keep it an evergreen source of relevant traffic. We have read almost every where that the money is in the list. That’s true if the list is treated with caution. However, is there money on your blog’s list? How do you milk the money from it? I have seen many bloggers claiming not to send promotional stuffs to their blog lists. How do they make the money from such lists? Do they really make money from their lists? If your list is meant to update your subscribers on blog updates, stick to it. I will share with you how to make money with this list later. But first, let’s see how to loose subscribers so fast. Tell them you’ll only send updates from your blog. You are not going to mail promotions of any sort. Tell them you respect their privacy. Then start sending some mails promoting some ClickBank product. Promote some get-rich-quick products. Tell them about some wonderful friend who came up with some great product and link to some lead capture page. Send mails everyday about some new stuff that’s in the sea coming to earth. Now sit and watch how they kick off your list like crazy. Stick to your promise and send updates from your blog. Send them free gifts thanking them for being loyal (from time to time). Send them interesting blog posts on other related blogs. I advice against sending some promotional mails to your newsletter especially linking directly to some sales page. This has a really negative effect and can cost you a huge portion of your list. – > What should you do then? Send an update mail about the post to your list. It should be a hot product that’s really targeted. You must also include in the mail why you are doing the promotion. Get a special unique discount code just for your list. If you have something to really promote to your blog’s list, create a review post and mail it to your list. Avoid any list swaps or solo ads services especially if these are meant to promote some products that are not so related to your niche. You can create a second list and let subscribers know exactly the kind of content you’ll often send to them. Make it quite clear that you’ll be sending money making tips and telling them about awesome new products in the market. Everyone on that list knows what to expect. If you want to make money by sending mails with affiliate links, Aweber and MailerLite are recommended. If you just want updates from your blog, MailChimp is good to start with but note that they will get your account suspended if you start messing around with affiliate links. If you are on a limited budget and want something basically to start building a money making list, go for MailerLite. There are many more service providers coming up everyday. 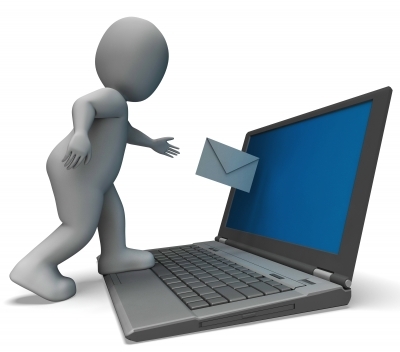 Check out these 6 popular email marketing platforms by Daryne Collier. The second thing you need to speed up the list building process is a free gift. Note that this must be a meaty product – ebook, video, software, etc. The more substance your free gift carries, the more it converts. However, some readers may jump in just to get the free stuff. Yes! I’m aware of that. But you’ll always get your own. NB: If visitors sign up to your list just to get update, the Open rate and clicks get quite high. This is part 14 in the series of creating a blog that makes money. We have seen tips on how to build a list for your blog and earn trust from subscribers. In the next part, we will be discussing how to grow as a blogger. Great post Enstine. You’ve covered the subject well. I don’t know if I agree about not sending them directly to a sales page. I can understand why you would want to send them to your blog, but then you are going to lose people and lose sales. Sending them to your blog could give them something else to do besides going to the salespage for the product. It would be a traffic leak. Course that is just my opinion. And, as you said, depends on the purpose or theme of the list. Thanks again, it was a good read. I think it principally lies on what you tell your subscribers in before they join your list. If you are quite clear on Promotions and blog update, that will be acceptable to some. Promoting to the list should be with caution too. thanks for your comment and contribution. I was on your blog where you share more wonderfully on this subject. These are definitely some great tips on how to get started with email marketing. I don’t email my list but once per week. I think that sending them to your blog is a great thing. But like Ron stated above, I don’t mind sending them to a sales page, especially if I believe wholeheartedly in the product. Writing a review on your blog post and then sending there is a great way to do it as well. Thanks for sharing these tips with us. I use Aweber for my mailing list, and I have set up 15 automatic messages, with 3 days interval, on how to set up a blog from zero, with affiliate links. Something useful, in my opinion. Yes I agree. I always emphasized that the success of a blog or blogger depends upon its readership and not traffic. Traffic generation is the forte of an SEO expert or professional whereas the subscription count is what decides if the blogger is Successful or not. It a very difficult task to get the readership or subscribers list now a days but having a good product or eBook that you can giveaway for free and add the user to your list is always helpful. Though the task doesn’t end there for sure.. You have mentioned maintaining the list before creating which is actually a good approach. As most of the bloggers ignore to take proper care of the list and end up loosing subscribers. This are actually great tips to building a list that count and am sure gonna benefit from it. But I would to ask? How does Mailerlite works? I used to use MailChimp before due to some reasons unknown to me, I can’t sign in to my account. I’ve been using Benchmarkemail. They services are of course great but am having some certain issues with them And have now been using feedburner but I need a more better platform as I would be selling and given out Free eBooks soon. That is very nice post enstine, for me building subscribers list I use jetpack. Aweber and mail chimp is also good services that I used in past. It is really good method of generating dynamic people to your site. Hey Enstine, you raised some very good points. I make a point of not selling directly through email. My email list is there to provide traffic, then my blog is to give “value” and “recommendations” (indirect selling). However I have no complexion to tell people to “buy this!” when I find something that makes a huge difference in my personal business. Definitely it is great post about How to build a list. It is great idea to make trust from our reader. but We should set up great page for this purpose so that reader think about it. that It is like professional blogger. If any happens to search engine today, what keeps your blog up and running is the email list you have built over time. It’s so so vital that bloggers build a targeted list of their customers and take advantage of that to build another stream of income. Thanks for this wonderful guide on list building. There is great power in the list, This is evident in the mails i also get from this great blog. Building a list is a good way to build a relationship with your readers, being able to send valuable emails will be a reminder to them that there is a great portal out there for them to take a peak at.